As a nation, Malaysia is more familiar than most with holding gold as an investment, store of value and currency hedge, and the concept of the modern gold dinar coin has had some success within the national economy. Physical bar gold is available in many Malaysian jewellery outlets as well as through banks, and gift giving of gold is popular in Malaysia during weddings and festive seasons such as Muslim festivals, and the Chinese New Year. Exchange traded gold products are not well-developed, but Bursa Malaysia does list a small retail gold futures contract. In 2001, Malaysia’s government, in conjunction with the Malaysian central bank, Bank Negara Malaysia launched a series of gold bullion coins named Kijang Emas. Kijang Emas coins were minted by an affiliate of the central bank, and are currently distributed through approximately 31 branches of Malaysian commercial bank, Maybank, on behalf of the central bank. The coins contain 99.99 fine gold, are minted in 3 denominations, 1/4 oz, 1/2 oz, 1 oz, and are legal tender in Malaysia. Malaysia is a ‘Federation’ consisting of 13 states and 3 federal territories. Two of these states, namely Kelantan and Perak, have launched their own gold dinar coins, beginning with Kelantan in 2006 and followed by Perak in 2011. These dinar gold coins, modelled on the classical gold dinar, are not legal tender in Malaysia, but are still used to an extent in these States as a means of payment and as a savings and investment medium. In 2000, the then Malaysian Prime Minister, Dr Mahathir Mohamad, was one of the early advocates of the creation of a modern Islamic gold dinar in 2000, which undoubtedly raised the profile of the gold dinar initiative within Malaysia. The Kelantan dinar contains 0.916 fine gold (22 karat), while the Perak dinar is 0.9999 fine (24 karat) gold. The Kelantan state’s gold dinar is now administered by Kelantan Gold Trade Sdn Bhd, which is a subsidiary of Perbadanan Menteri Besar Kelantan (PMBK). The first batches of Kelantan gold dinars in 2006 were produced within Kelantan on an informal basis, and in 2010, with a more formal launch, they began to be produced by the World Islamic Mint in Dubai, UAE. The Perak gold dinar was launched by Perak State in February 2011, with one side of the coin featuring the design of the original gold dinar from 697AD / 77AH. Bursa Malaysia, headquartered in Malaysia’s capital Kuala Lumpur, is the holding company that oversees both the Malaysian Stock Exchange and a futures and options market named ‘Bursa Malaysia Derivatives Berhad (BMD)’. BMD lists a number of commodity derivatives, including a gold futures contract. BMD is supervised by the Securities Commission of Malaysia. In 2009, US-based CME Group purchased a strategic stake in Bursa, Malaysia Derivatives Berhad. Since then, BMD futures contracts have traded on CME’s Globex electronic trading platform. Trading volume of the FGLD gold futures contract is just under 0.5 tonnes per month, with monthly open interest in the region of 0.2 tonnes. According to the World Gold Council, gold investment bar and coin demand in Malaysia totalled 8.8 tonnes in 2014, and 7.3 tonnes in 2015. In Malaysia, gold investment bars and coins are sold in some of the large jewellery distributors in Malaysia, as well as by banks and specialised bullion sellers. Poh Kong Goldsmith sells ‘Bunga Raya’ brand gold bars in a range of weights from 1g, through 5g, 10g, 20g, 50g, to 100g. Tomei Goldsmith sells its own branded gold bars, and also stocks Canadian maples and Australian kangaroos. A number of Malaysian banks also distribute gold bars and coins for sale in some of their branches. For example, United Overseas Bank (UOB) sells 1kg gold bars at 4 of its branches, and foreign gold coins (Canadian maple leafs, Australian Kangaroos, PAMP products, Singapore Lion) at a wider selection of its branches. 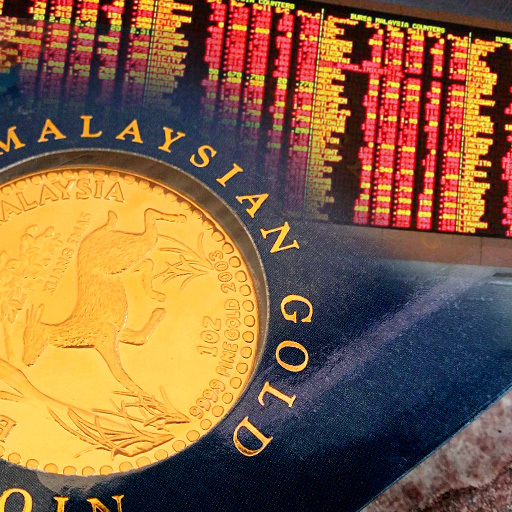 Kuala Lumpur based Public Gold group manufactures its own gold bars and coins which are sold through its trading and dealer network. Public Gold also operates a scrap gold refinery. MKS, the Swiss based gold trading company which owns the PAMP precious metals refinery, has a Malaysian branch MKS Precious Metals SDN Bhd, located in Kuala Lumpur, and quotes local MYR prices for a selection of investment grade gold bars. The Federation of Goldsmiths and Jewellers Associations of Malaysia (FGJAM) , headquartered in Kuala Lumpur, was originally established in 1978 as the Goldsmith Merchants Association of Malaysia, changing to its current name in 1985. The FGJAM represents members from all Malaysian states and federal territories, and has historically lobbied the Malaysian government on issues affecting its members’ businesses, such as import duty and sales tax on gold. The Federation’s very extensive members list can be seen on the FGJAM website, and includes the goldsmiths/jewellers (Poh Kong and Tomei) mentioned above. There has been concern in the past from non-members that members of FGJAM quoted similar prices for gold products above the spot price, leading to discussion of whether the FGJAM had displayed traits of a price cartel. Gold investment/savings accounts or accumulation plans are widespread in Malaysia and are offered by a number of banks including Maybank, Public Bank, United Overseas Bank (UOB), CIMB Bank, and Kuwait Finance House, as well as by Citibank and Standard Chartered Bank. The accounts are backed by and denominated in units of gold. Some banks offer the option of withdrawing physical gold from the accounts, others do not. The Maybank Gold Investment Account (MGIA) is backed by “physical gold deposited in PAMP S.A.”, however, account holders can only withdraw cash from the account, not gold. In contrast, the UOB gold account (which invests in unallocated gold) allows conversion of gold purchased within the account to physical gold, subject to the permission of the bank. Over 40 tonnes of gold are used each year as inputs into jewellery fabrication in Malaysia, the majority of which is then exported. According to GFMS, Malaysian gold jewellery fabrication for 2014 (including scrap) totalled 40.7 tonnes, vs 44.6 tonnes for 2013. Excluding recycled gold scrap, gold jewellery fabrication in 2014 accounted for 35.6 tonnes versus 39 tonnes in 2013. The bulk of Malaysian gold supply is imported since there is very little gold produced from domestic gold mining. According to the World Gold Council, domestic jewellery demand only accounted for 10.2 tonnes of gold in 2014, and 8.4 tonnes in 2015, therefore approximately 75% of Malaysian gold fabrication is exported. The Malaysian government’s approach to tax on investment precious metals and the existence of an approved jeweller scheme facilitiates this import-fabrication-export round tripping. To facilitate the jeweller manufacturers’ cash flows, Royal Malaysian Customs has introduced an ‘Approved Jeweller Scheme (AJS) under which the IPM supplier does not have to pay GST when supplying gold or other precious metals to jewellery manufacturers. Although manufacturers are liable for the GST, they only incur the GST when the metal is used to fabricate finished goods for the local Malaysian market. Exported gold jewellery remains zero-rated for GST. Although there has been gold mining in Malaysia in the past, it is currently quite limited. However, a mining company called Bersa is developing a gold mine at the historically minded Bau Goldfield in Sarawak, East Malaysia. This project is still at the feasibility stage. The widespread availability of investment gold bars in Malaysia’s jewellery shops and banks also points to gold’s intrinsic appeal among Malaysia’s general population. This across the board respect for gold throughout the country from the Government down to the population bodes well for the continued buoyancy of the gold market in the Federation of Malaysia.